Shake's remix of "Raised by Snakes" is a sleeper wonky house groover with Telex's signature bizarro vocal tinges. 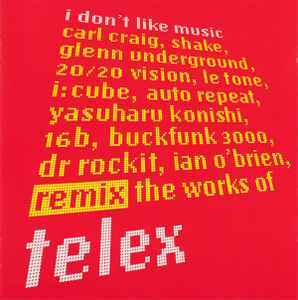 An international showdown of electronic music's finest producers remixing classic telex gear. Shake's remix of raised by snakes is a favourite - minimal and emotional, cut in a synth sound that he was getting well known for at the time. Infact I like them all - it's difficult to pinpoint az track that doesn't prove its's worth here. Yum - soul food.